Mehrabi, M., Mostafaie, A. (2018). Overexpression of Glycolytic Enzymes and Antioxidant Protein in Differentiated Beta Cells. Biomacromolecular Journal, 4(1), 16-27. Maryam Mehrabi; Ali Mostafaie. "Overexpression of Glycolytic Enzymes and Antioxidant Protein in Differentiated Beta Cells". Biomacromolecular Journal, 4, 1, 2018, 16-27. Mehrabi, M., Mostafaie, A. (2018). 'Overexpression of Glycolytic Enzymes and Antioxidant Protein in Differentiated Beta Cells', Biomacromolecular Journal, 4(1), pp. 16-27. Mehrabi, M., Mostafaie, A. Overexpression of Glycolytic Enzymes and Antioxidant Protein in Differentiated Beta Cells. 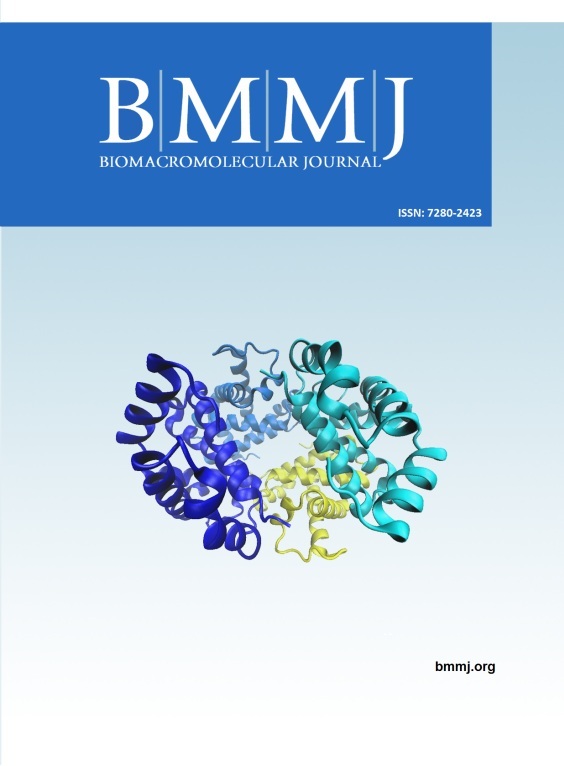 Biomacromolecular Journal, 2018; 4(1): 16-27. Due to the importance of proteins in the differentiation and function of cells, investigation of variation of the protein expression levels can help for the better understanding of the differentiation processes. Cell-therapy provides a promising alternative for the treatment of type 1 diabetes. In our previous studies, we isolated and expanded human skin-derived precursors (hSKPs) and differentiate them into IPCs in vitro, through exposure to suitable differentiation factors. Cellular clusters were also able to secrete detectable amounts of insulin and C-peptide in glucose concentration dependent manner. In the present study, we applied two-dimensional electrophoresis technique to evaluate variations in protein expression in expanded SKPs and differentiated IPCs. The results showed that the protein pattern of SKPs differs with differentiated IPCs in terms of the number of points and the expression level of protein. The current study demonstrates that IPC differentiation in human SKPs is accompanied by modulation of 13 major proteins with diverse Functions: metabolic, chaperone activity, redox (antioxidant), protein degradation, transcription and signaling cascades. Overexpression of three key enzymes in the glycolytic pathway was observed. Since insulin is a hormone that is involved in glucose metabolism, it is not surprising overexpression of glycolytic enzymes found in differentiated cells. Here we show for the first time the expression of the antioxidant proteins in differentiated cells has increased. Also augmentation in ubiquitin and cyclophilin A was observed, indicating overexpression of proteins that involve in degradation of old proteins and synthesis and folding of new proteins in differentiation process.